A couple of days ago, a colleague reminded me that even the 1996 general election, which is remembered to have been relatively peaceful, had streaks of violent incidents. One of the presidential candidates then, Paul Kawanga Ssemogerere, was stoned by citizens in one of the districts in western Uganda where he had gone to campaign. It was in that same election where another presidential candidate warned the electorate on the possibility of returning to the deadly days of Milton Obote if ‘they didn’t vote for him’ – talk about psychological intimidation. Since the 1996 elections, the face and structure of violence in elections has fundamentally metamorphosed. The 2001 and 2006 elections have been recorded as Uganda’s most violent elections. Election observers reported several cases of government-sponsored violence, with the largest number of incidents being directed towards supporters of the opposition candidates. Political rallies and meetings were selectively and violently broken down by police; there were cases of harassment of journalists and editors; threats were issued to civil society activists; politically-motivated arrests were effected and hate-speech remained prevalent on the candidates’ campaign trail. In 2011, the structure of violence further changed. Intraparty conflict and violence featured as the (unfortunate) new kid on the block; party-aligned militia groupings that had previously emerged in 2006 made a grand entry on to the electoral stage. Politicians resorted to using hired gangs to influence election results under the guise of protecting the vote. It was the 2011 polls that bred the walk-to-work post-election protests. Already, pre-election violence has set in. Clashes between supporters of different candidates have already happened in Jinja, Ntungamo, Gulu, etc. Politicians, their supporters and innocent citizens have been injured; some have suffered fatalities. Widespread intimidation of voters remains persistent; some communities are already nursing the wounds of organised crime in the build-up to elections. Only a handful of voices seem to be coming out to condemn the direction which things are taking! Observer reports indicate that in the Rwenzori sub-region, politicians on both sides are giving speeches that are fanning the flames of long-standing ethnic and social rifts. Such narratives are bound to breed tension within the affected communities. Manipulation of these social divides by those seeking electoral support inadvertently adds onto the ‘flashpoints’ of electoral violence. Such skewed campaigning tactics are not only bad but also symbolic of a lack of a clear policy agenda on the side of the politicians. Sadly, other politicians seem to be planning on using violence to strategically get people to flee or to intimidate them against voting. The history of electoral violence notwithstanding, Uganda is lucky to stand in the middle of the African continent. We have both the good and bad examples from which to learn. While many analysts are inclined to using the Kenya of 2007/2008 as a classic example of what can happen when an election goes sour, Eunice Musiime, a socio-political analyst, is quick to remind Ugandans of the recent Tanzanian and Nigerian elections which came and passed without any major incidents recorded. It is, therefore, possible to make the February election work, and work peacefully for every Ugandan. The focus on preventing electoral violence must be on the individual first. 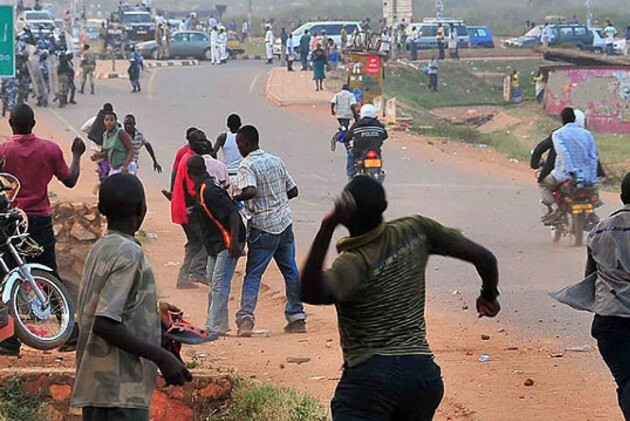 Each Ugandan should be primarily concerned about their very own safety – therefore, an individual shouldn’t do or say things that will threaten their own peace and that of their communities. Religious groups, media, political parties, candidates and civil society must play their crucial internal and external roles in terms of de-escalating rising tensions and presenting an impartial image of electoral events. If we have many individuals and groups such as these acting as positive role models in terms of electoral conduct, we will be on the right path to removing the already-existing structural preconditions for violence and paving way for a peaceful election. It is everyone’s responsibility to break the nexus between elections and violence – and we must do it now! The author is a coordinator for the Citizens’ Coalition for Electoral Democracy in Uganda (CCEDU).